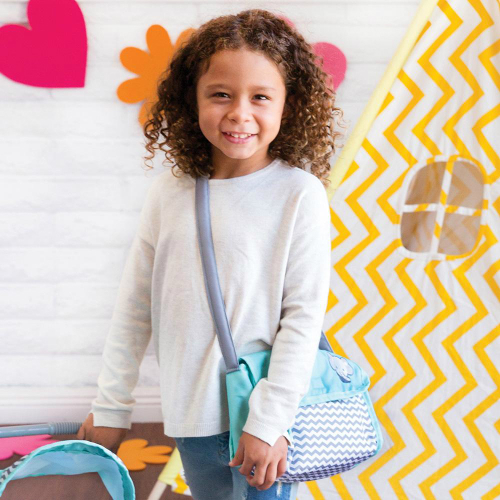 What's that one thing you can't leave the house without? 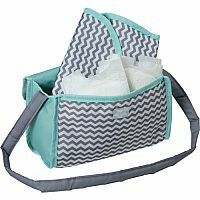 Your diaper bag of course! 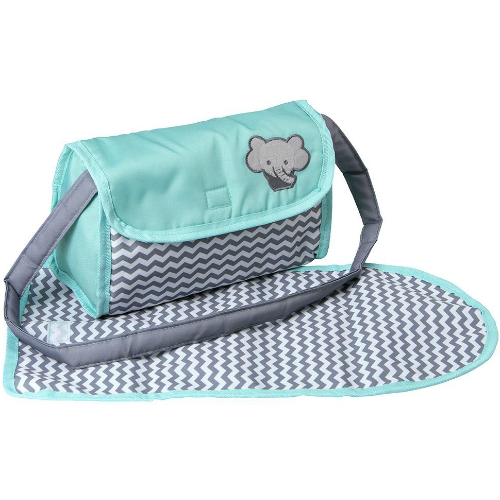 The Zig Zag Diaper Bag is a must have accessory for little mommies and daddies on-the-go! The diaper bag has an embroidered elephant, velcro flaps so it's easy to open and close and a sturdy strap that is perfect for slinging over the shoulder. This baby doll accessory features an attractive gender neutral zig zag design in cool mint, white and gray and comes with a diaper bag with strap, changing mat and 2 traditional diapers. 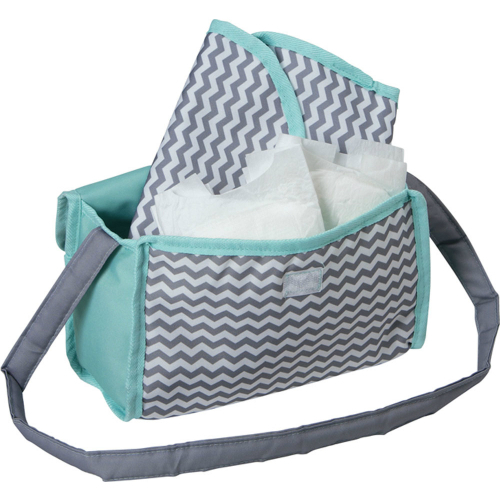 Encourage nurturing, pretend play with this ADORAble Zig Zag Diaper Bag! First-rate design, detail and quality. 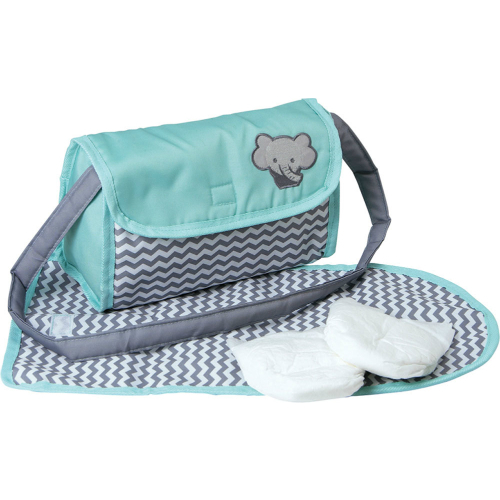 Measures approximately: 9.50 x 12.00 x 2.25 inches..